A DIY warehouse at the centre of an outbreak of Legionnaires’ disease in 2012 is to be charged with manslaughter, it has been decided. A total of 21 people fell ill after visiting the warehouse, three of whom died. The warehouse, based in Stoke-on-Trent, had hot tubs on display that had not been properly cleaned or treated. The outbreak of Legionnaires’ disease was traced back to the DIY warehouse during a Health Protection Agency investigation. Tests revealed that one of the hot tubs on display tested positive for Legionella bacteria. This was of the same strain that had caused the illness in those affected. Two men in their seventies, William Hammersley and Harry Cadman, and one man in his fifties, Richard Griffin, all died after contracting Legionnaires’ disease. News reports have indicated that no inquests have yet been held into their deaths, despite the fact the outbreak occurred back in 2012. This was due to the potential for court action to be taken. A coroner has since levelled criticism at the Crown Prosecution Service (CPS) and the police for taking this length of time to decide whether or not to go ahead and prosecute the DIY warehouse. The company will be charged with corporate manslaughter. There is enough evidence to bring the charges against the company in relation to the deaths of Mr Hammersley and Mr Griffin. However, according to the CPS, the amount of evidence gleaned in relation to Mr Cadman’s death is not sufficient to bring charges in that particular case. Last year, the families of the victims received a six-figure sum in relation to the deaths of their loved ones. Furthermore, additional compensation was paid to 13 people who survived the illness. This case has shown just how important it is to have a proper legionella risk assessment, maintenance and water treatment plan in place for monitoring and controlling the presence and growth of Legionella bacteria. A hot tub is a typical example of a water system that could become potentially hazardous if it is not correctly managed and kept clean at all times. The word ‘filthy’ has been used to describe the hot tub in the warehouse in this case, but in reality, even if a water system looks clean, it may still be contaminated with potentially dangerous bacteria. Only regular testing can determine whether this is the case or not. How do you test water for legionella? 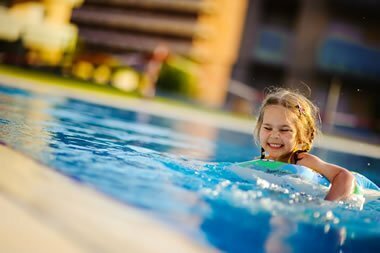 For potentially dangerous water systems such as hot tubs and spas a legionella risk assessment and well managed water treatment programme is essential to protect the health and safety of staff, customers and other people who may become exposed to the hot tub.